If you don’t produce waste in high volumes, it may not be economical to employ personnel and facilities to deal with your waste streams. We can provide a full service that will manage the analysis, classification, packaging, labelling, transportation and treatment of your waste. To help you comply with the Carriage of Dangerous Goods, Classification, Packaging and Labelling regulations, we have developed specialist software for waste categorisation and labelling. Our Technical Services team comprises qualified and fully trained chemists, working in modern laboratory suites, who can provide fast, comprehensive analysis of your waste and a proposed solution. 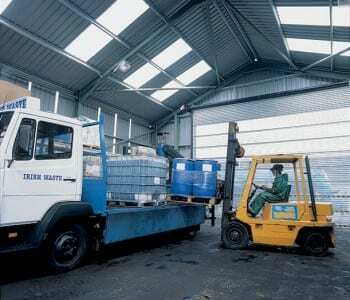 We can also offer the services of one of our qualified Dangerous Goods Safety Advisers.